BCA welcomes students entering Pre-K through 5th grade to join our Summer School! 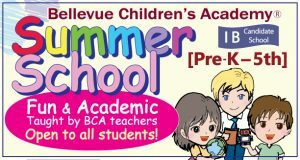 Summer School at Bellevue Children’s Academy® is a great way to reinforce your child’s learning and to prepare him or her for the new school year. 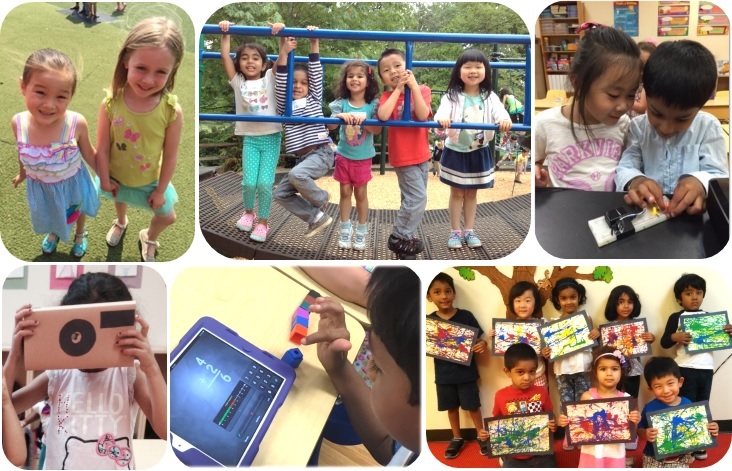 Our program includes thought-provoking English and math curriculum along with exciting activities that promote creativity, independent thinking, self-confidence, and the quest for personal excellence. All students have morning recess, morning snack time, lunch time, and afternoon recess. All Summer School fees are non-refundable and non-transferable after April 14th. Cancellations are considered until April 14th. All payments including Summer School tuition, lunch, and/or extended care fees will use an ACH system and will automatically be withdrawn from your designated account. A completed ACH form is due at the time of registration. Changes are based on space availability and will incur a $30 processing fee. BCA Extended Care is available from 8:00 a.m. – 9:00 a.m. and from 3:30 p.m. – 6:00 p.m. on a daily basis. Prior notice is not necessary. Extended Care is $16 per hour which is calculated by the minute. There is a cap of $170 per week. Please note that an additional late fee is applied each time each child is picked up after 6:00 p.m. ($5 for 6:01 p.m. -6:05 p.m., $30 for 6:06 p.m.-6:30 p.m.) The payment of Extended Care fees will be withdrawn from your designated bank account by ACH. Lunch can be provided from home or purchased from BCA/WPS. Complete and submit an ACH form included in the Summer school online registration form for non BCA students or if you wish to change your bank information for withdrawals. Once your child’s registration has been received, the BCA/WPS office will contact you via e-mail to confirm placement within our Summer School.